Actuate helps companies use data more intelligently through advanced reporting capabilities. The platform enhances the richness, interactivity, and effectiveness of enterprise data through functionality for deploying sophisticated internet applications. 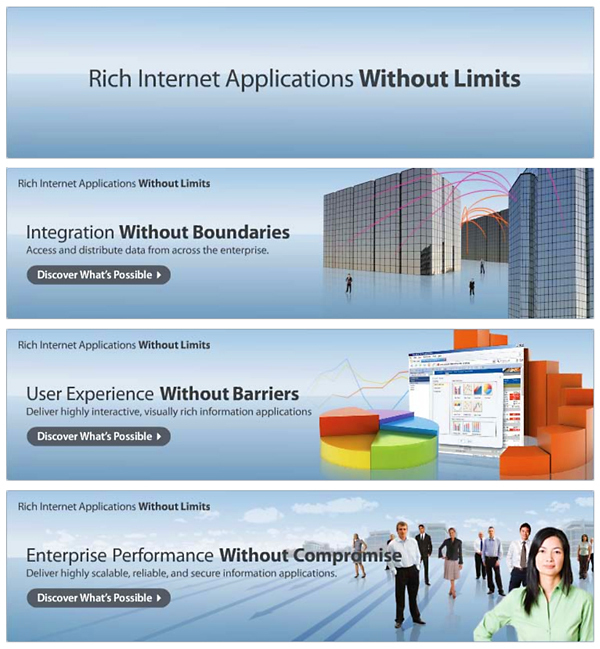 In this brief sequence, the main brand attributes – improved user experience, added integration, and enhanced enterprise performance are presented with visuals linked to the tagline.